Today I’m sharing the last bun variation of the series with my friend Aylin! (sleek bun here, side-braid bun here) This super easy messy bun tutorial is perfect when you’ve had your hair down all day and want to put it up and still look kind of casual-chic, you know? Or when you went out Saturday night and did your hair and you still have some waves or texture the following morning are going out for brunch 😉 Super easy, fast, and all you need is one elastic and a couple of bobby pins. Anyone can master this! 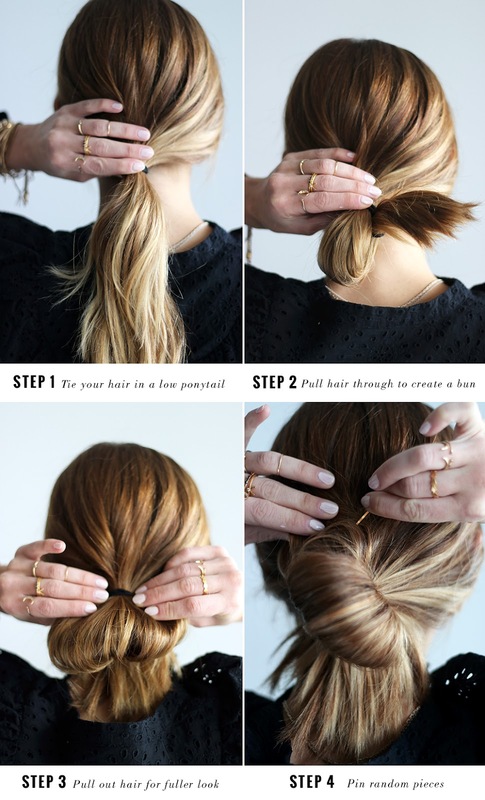 STEP 1: Tie your hair in a ponytail. Before doing this, Aylin added some texture by creating very loose waves with the straightener (this is the one I use and highly recommend it). This adds volume to the bun, so if your hair is naturally wavy or curly you can skip it. 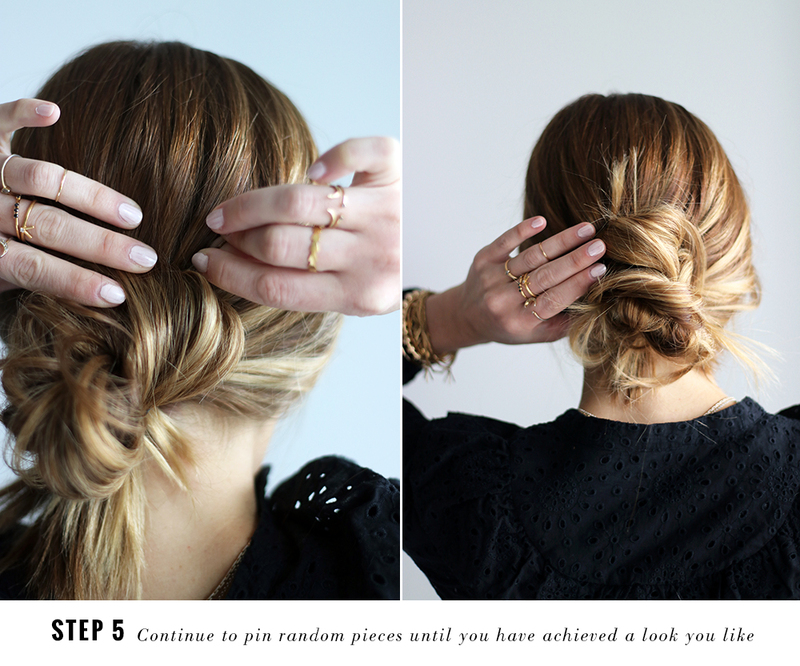 STEP 2: Pull your hair through the elastic to create a bun. STEP 3: Pull out the bun to make it bigger while keeping the section that didn’t go through the elastic just below it. STEP 4: Start pinning random pieces.